← Obama Screws it Up Again! 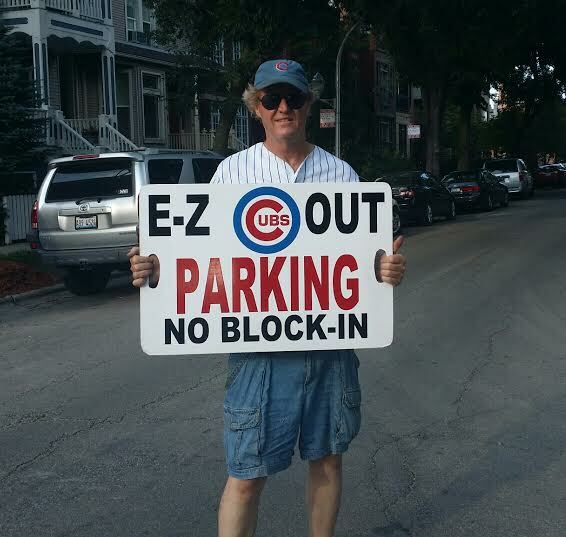 Since my Chicago neighbor Pete first introduced me to Cubs parking nine years ago, I’ve been hooked! Pete and I worked the intersections in our neighborhood (only two blocks from Wrigley Field) for 5 years until he took his wife and 5 kids to the suburbs. I’ll be forever grateful to him for those wonderful times we spent together determining a daily pricing strategy, deciding the best time to hit the street, conducting daily marketing research (walking around to see how full the competitors’ lots were and what prices they were charging) and otherwise trying to figure out how to maximize our revenue. Pete the financial analyst and me the economist had some pretty sophisticated and lively discussions as the free market dictated to us every day its’ unpredictable and often fickle attributes. Free markets such as exist in the residential parking business, are purely competitive with many buyers (those who need a parking spot) and many sellers (small time operators who have a spot or two behind their garage). It is a pure supply and demand market that can’t be manipulated by anyone. Some examples will suffice. Yesterday was a double header. The noon game parked full for us at a price of $20 per car. The night game was brutal; I stood on the street for 90 minutes without a single sale; one of the worst episodes of parking I’ve witnessed in nine years. The photo above was taken by my parking partner Griselle about 5 minutes before I headed in with my tail between my legs. During the steroid era when Sammy Sosa (corked bat and all) and Mark McGuire were vying for the season home run record Pete got $40 to $50 per car all season long. Today, due to high demand we parked the Gay Pride Parade and got $40 per car. 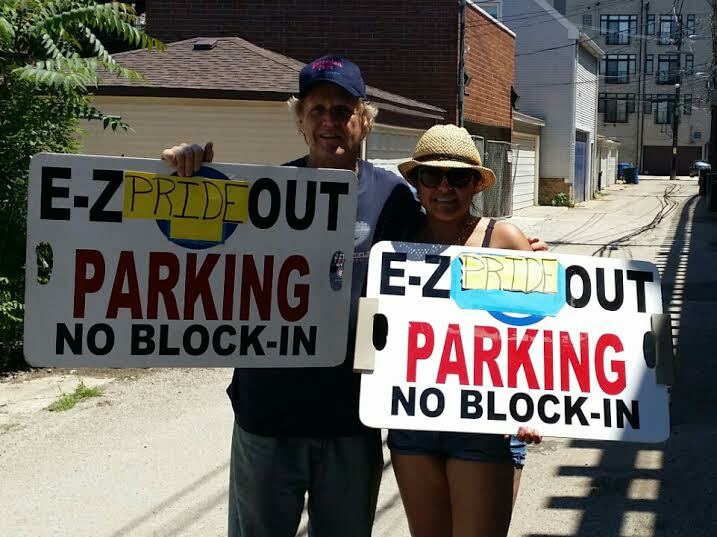 Note the below photo of Griselle and I with our “modified” Cubs signs. During the Obama years we have suffered through quite a recession. This depressed Cubs parking prices from $40 to $20 a car. The reason is obvious if you’re on the street for long. Demand hasn’t decreased; people with money still come to the ballpark. Supply, however, has increased markedly. The unemployed lady or man will go out to the street with a shoddy little sign that says $20 and park one car a day; that’s $20 for groceries. Furthermore, there are hundreds of them doing it! It is the increase in the supply that has pushed prices down. If the job market ever recovers these folks will be working during the day which will reduce supply and drive parking prices up again. Sometimes I ask myself why I’m still parking cars. It isn’t for the money, although at the end of a home stand I have a wad of cash that makes me feel like a drug dealer. It’s because I’m an economist and I love to see how markets work. Each day is different and the reasons for price changes are as numerous as you can imagine. Win or lose, we as sellers have no real influence on prices; the market always rules.